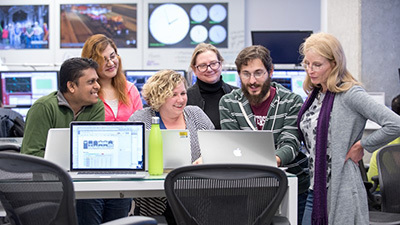 LArSoft is a collaboration of experiments, Fermilab and other stakeholders that develop and support a shared base of experiment-independent simulation, reconstruction and analysis software for neutrino and test beam experiments that use liquid argon (LAr) time projection chambers. The collaboration aims to provide the capabilities, sophistication and scaling necessary to support LArTPC-based collaborative science over the next decade, including all planned and running LAr experiments at Fermilab. The LArSoft code base is written in C++ and is built on the art event processing framework supported by the Ferimlab Scientific Computing Division for intensity frontier experiments. For more information on the collaboration and the LArSoft code, please visit the LArSoft Collaboration website.